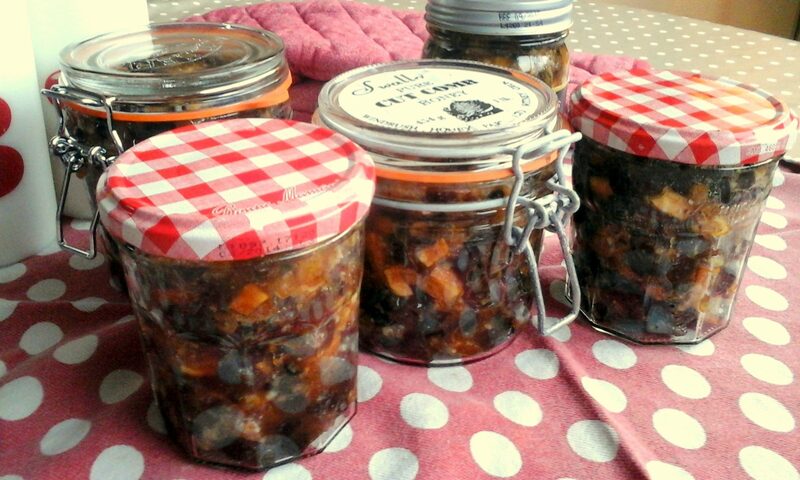 This recipe doesn’t really count as cooking. 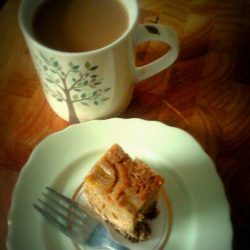 My version contained just two ingredients: swiss roll, and ice cream. 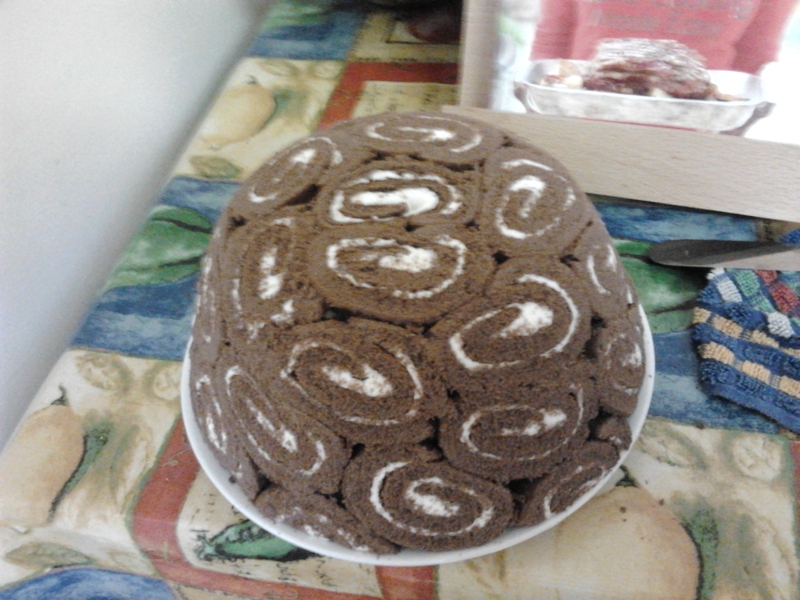 You can brush the swiss roll slices with rum, but I was making it for kids. You line a big bowl (mixing bowl sized) with clingfilm, and slice the swiss roll up. 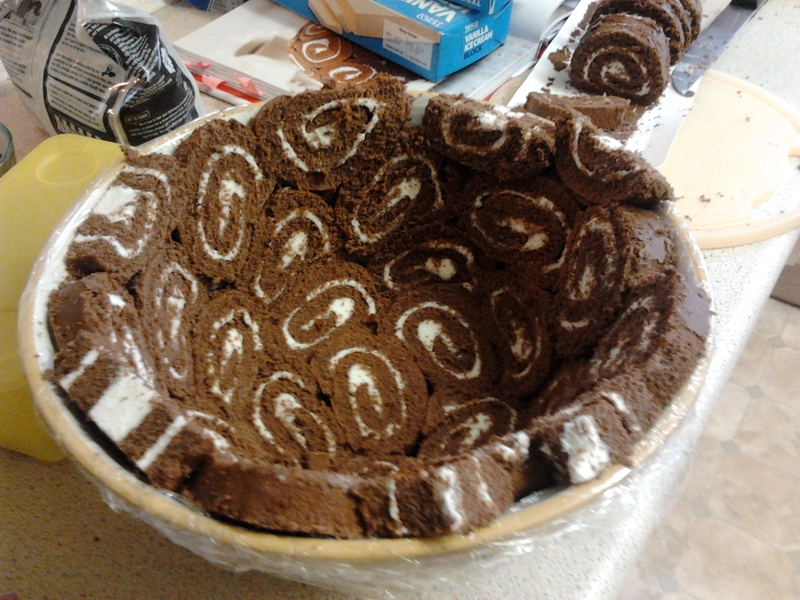 Line the bowl with slices of swiss roll all squidged up so there are no gaps. Fill with soft ice cream and freeze. When it’s frozen you remove from the bowl gingerly, turn onto a plate and serve. It is absolutely massive, would serve about 12 probably, or more if they’re children. Unfortunately, it tastes of cheap swiss roll and ice cream, because that is what it is. To make it any better, you’d probably need to make your own swiss roll, which would rather defeat the point of its simplicity. On the positive side, it looks fun, and could be quite good for a children’s party.